Dealing with the principles of calibration--both the theoretical and mathematical constructs which relate features of calibration equations to the physical phenomena that affect instruments and samples used on generating information. Among derivations in leading spectroscopic and statistical literature, numerous necessary mathematical derivations have been specifically designed for this book. Covers the practical aspects of generating a calibration equation including how to recognize and deal with various types of problems affecting calibration dataset, relating theoretical ideas, and their affect on data and how to deal with unusual situations. 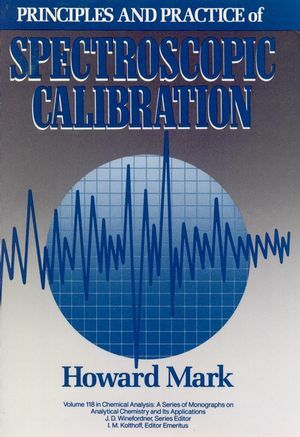 Howard Mark is the author of Principles and Practice of Spectroscopic Calibration, published by Wiley.